Elite Moving Systems specialise in moving global clients’ key staff around the world – everything from first touch, to pre-move survey, planning, scheduling, shipment delivery and settling in after moving overseas. Growing fast, they asked Above Digital to build and design a stylish, informative website aimed at two groups of people. Firstly the HR departments moving their people overseas and secondly the families whose homes and lives are moved via air, sea or road. 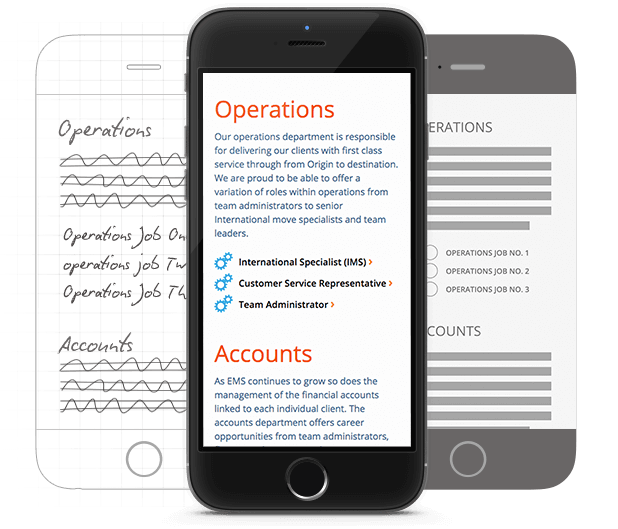 Above Digital worked closely with EMS, designing a clear, uncluttered user journey for HR departments and those being relocated. Our pragmatic approach took care of several technical complexities allowing EMS to enjoy a great user experience. We designed and built a stylish, responsive website solution, accessible over desktop, tablet and mobile. We set up hosting and managed their social channel integration. We put in place a Content Management System (CMS) through which EMS may easily add new content. We also provided SEO optimisation and ongoing support including statistical reporting. 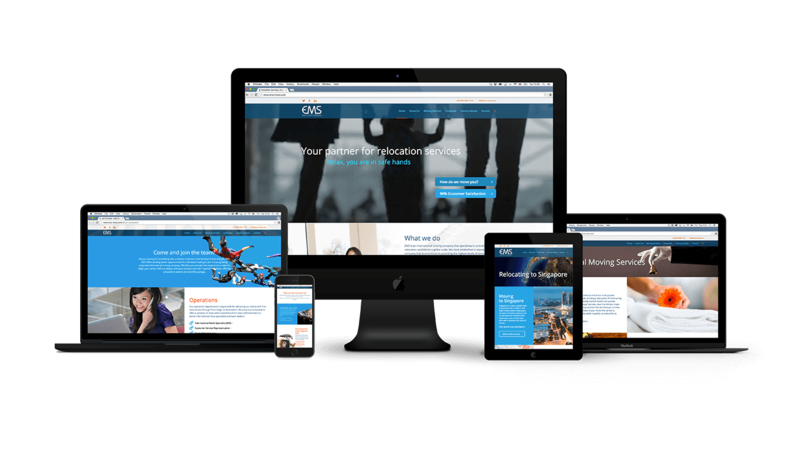 The resulting website presented a stress-free and informative user-centric journey to anyone accessing the site, reassuring users that their relocation would go equally smoothly. 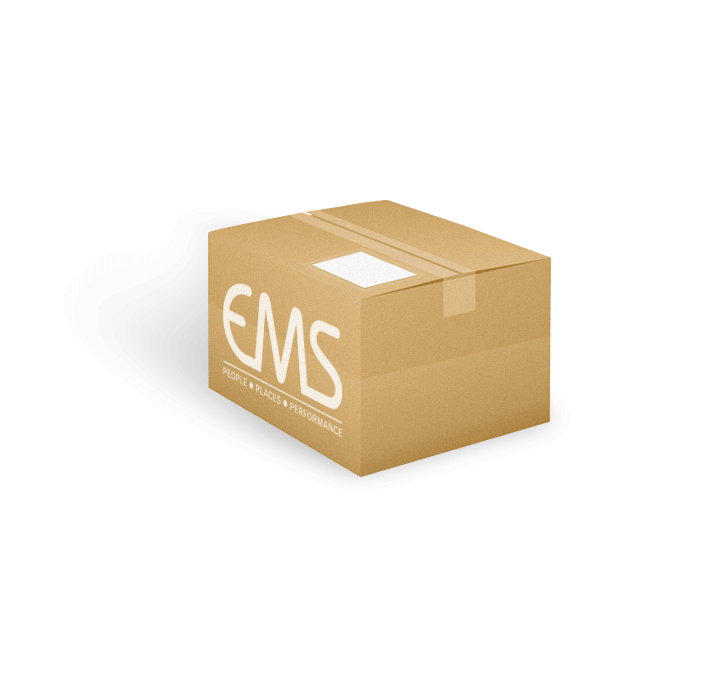 The final website set the EMS Move brand in stone and is regularly updated with new guides worldwide.